Apparel & fashion trade shows are golden opportunities for companies involved in this sector to showcase their product range. Attended by globally renowned organizations as well as by the start ups in the apparel & fashion sector, a multitude of trade shows are held across the globe, with some of them becoming so much significant that they herald a new trend in this sector. Apart from providing the opportunity to showcase their product range, these trade shows also provide networking opportunities for the firms participating. It would be apt to state that if organizations involved in this sector are not participating in any of the fashion & apparel trade shows held across the globe, then they are failing to market themselves and their products properly. 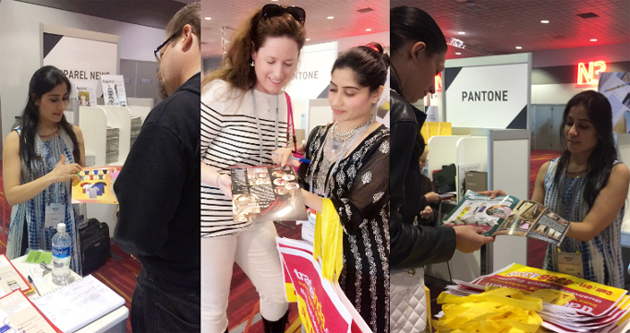 As mentioned above, various apparel & fashion trade shows are held across the globe, some of these shows are Sourcing at Magic in Las Vegas, Panache Fashion Fiesta in Jaipur, Garment Technology Expo in Ahmedabad, India and many more. These shows are specially ideal for organizations that are in their growing stages, a fact understood by many start ups in this sector, resulting in their ever increasing participation in these shows. Apparel trade shows, fashion trade shows etc. offer great opportunities for those involved in these sectors to build connections in the fashion industry. To be precise, these shows offer unparalleled partnership opportunities for those taking part. Moreover, the clothing trade shows, garment trade fairs held across the world also ensure the participants are abreast with the prevalent trends in the apparel industry. Instead of the high marketing costs in online as well as offline mediums, fashion trade shows, garment trade fairs etc. provide the requisite opportunity for apparel firms to create a buzz about themselves, that too at comparatively lesser cost. Creating lasting impressions amongst prospective customers.